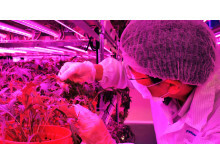 Smart City Shioashiya “Solar-Shima” developed by PanaHome Corporation, has recently won a Gold Award in the “Smart Buildings” category of the 3rd APEC (Asia Pacific Economic Cooperation) ESCI* Best Practice Awards. 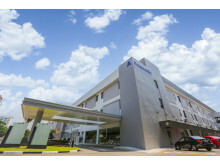 This is the first time a Japanese enterprise has won a Gold Award in the Smart Buildings category. Panasonic Showcases End-to-end Solutions for Entertainment Industry "LIVE"
Panasonic System Solutions Asia Pacific (PSSAP) strengthens foothold in entertainment industry with “live” event to showcase full suite of end-to-end solutions at the inaugural Tourism Technology Asia and Pro AVL Asia 2016 in Singapore. 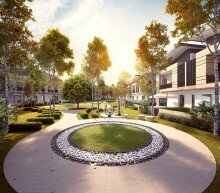 The unveiling of the 272 Cheria Residences semi-detached homes at Tropicana Aman marked both companies’ first strategic collaboration in Malaysia. 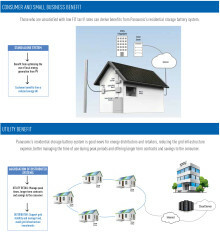 PanaHome Malaysia, housing subsidiary of Panasonic will provide Japan-quality technologies from construction development to fitting homes with smart systems and applications. 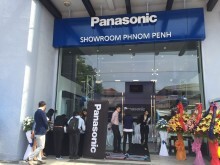 26 May 2016, Hanoi, Vietnam – Panasonic Vietnam (Panasonic) opened its newly designed corporate showroom, Panasonic Risupia Vietnam, in conjunction with the 10th anniversary of the company’s establishment, today. The showroom has been renovated to showcase the latest Premium Lifestyle solutions and provide a more interactive experience for visitors. 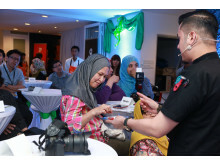 Panasonic Gobel Eco Solutions Sales Indonesia opened its first showroom focused on non-residential lighting to meet energy saving policies set by the Indonesian government and realise eco-minded infrastructure with LED products. 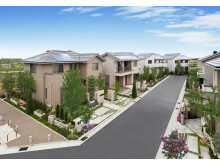 Panasonic Australia announced pilot projects with ActewAGL, Snowy Hydro's Red Energy and Ergon Energy to install Panasonic battery technology in solar-installed homes for the first time, generating efficient, environmentally responsible electricity to 'shave' concentrated energy demand. Panasonic System Solutions Asia Pacific unveils seven new products and solutions at Asia’s Leading ICT and Broadcasting Industry Trade Show - CommunicAsia2015 and BroadcastAsia2015. A one-stop-center that enhances customer experience by immersing visitors in Panasonic offerings and providing excellent customer care. Latest technology ranging from air conditioners, refrigerators, washers, small appliances, wiring devices, lighting and security equipment emphasize Panasonic’s B2C and B2B commitment in local market. 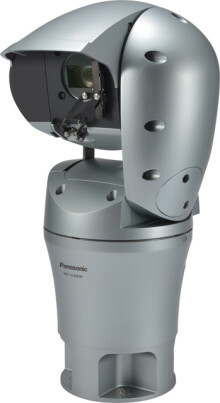 Panasonic Asia Pacific Pte Ltd (hereinafter Panasonic) will release a new portable LCD projector “PT-VW350 Series” to support Intel® Pro WiDi, in May 2015. 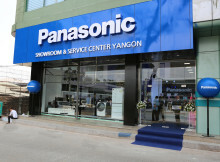 Panasonic launched the first integrated showroom and service center to showcase the full lineup of B2C and B2B offerings available for Myanmar. 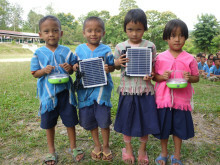 B2B solutions such as technology designed for retail, security, hotel, office, eco and solar sectors will be exhibited alongside B2C solutions like home & kitchen appliances, beauty products, TVs, audio-visual products and cameras.